44 offshore blocks with a total acreage of the 63,296 km² in the Morondava Basin will be open for bidding. 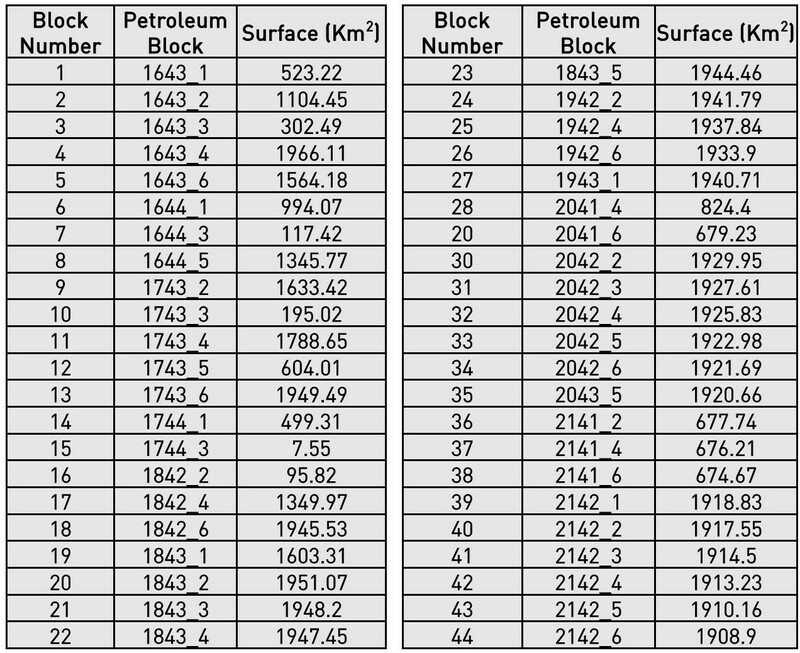 Each rectangular block size is about 1,940 km². The offshore Morondava basin is covered by regional 2D seismic data. Vintage seismic data has been reprocessed through multiclient surveys with TGS, Spectrum, CGG Geospec and ION. 3 onshore wells within close proximity to the block area and 2 DSDP boreholes west of the area. Well with logs only. Borehole info cleaned up. 5K per well, 750 per borehole.